What matters is what's inside. Why select an Outpatient Surgery Center? 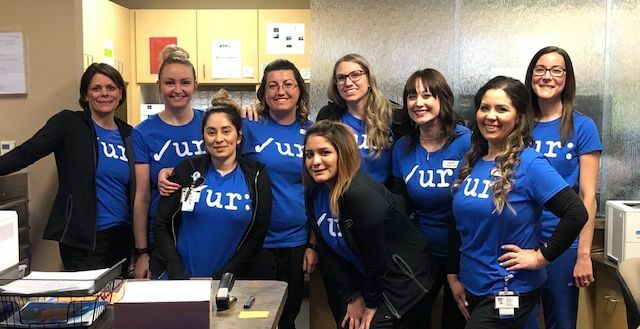 We have been making customized T-shirts each year for the last 5-6 years and our staff can wear any of them they still have during the month of March. 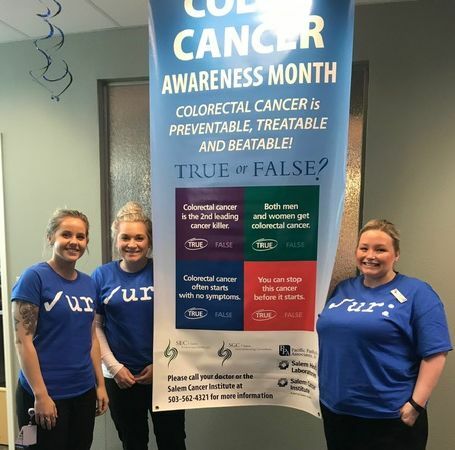 This month we are celebrating Colon Cancer Awareness with some special T-shirts, office decorations and other exciting activities. Here are a couple pictures of our staff and their T-shirts. We also had several offices around town decorate their offices with Blue for CCA month. We’ve ordered up a couple billboards and generally tried to make people aware of Colon Cancer and how easy it is to prevent. Colon Cancer Awareness Month March 2019! This years Dress in Blue Day, Friday March 4th, was our kick off for Colon Cancer Awareness Month. 10 Year Anniversary for Salem Endoscopy Center!